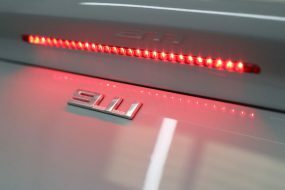 The Flying Spur – the very name conjures up images of supreme comfort and luxury, a monster of an engine purring as it effortlessly glides along the road. 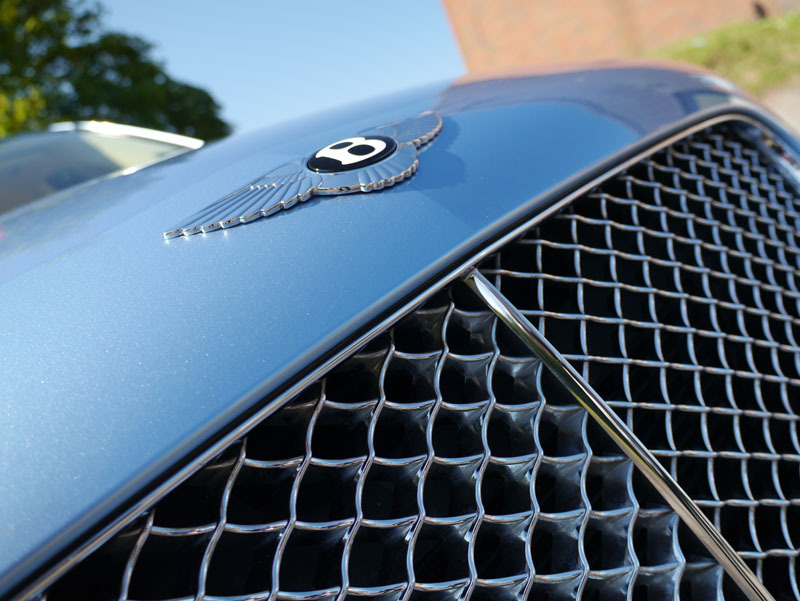 And the Bentley Continental Flying Spur certainly lives up to the image, in every sense. 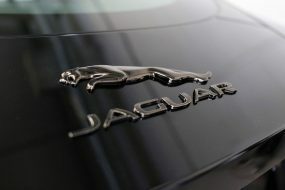 No detail has been over looked, no refinement considered too extreme. Attention has been paid to each factor that goes into construction. Each panel is made from super-formed aluminium – i.e. formed from one piece of aluminium sheeting, heated and moulded into the correct form ensuring the strength of the sheet is preserved over the whole area. 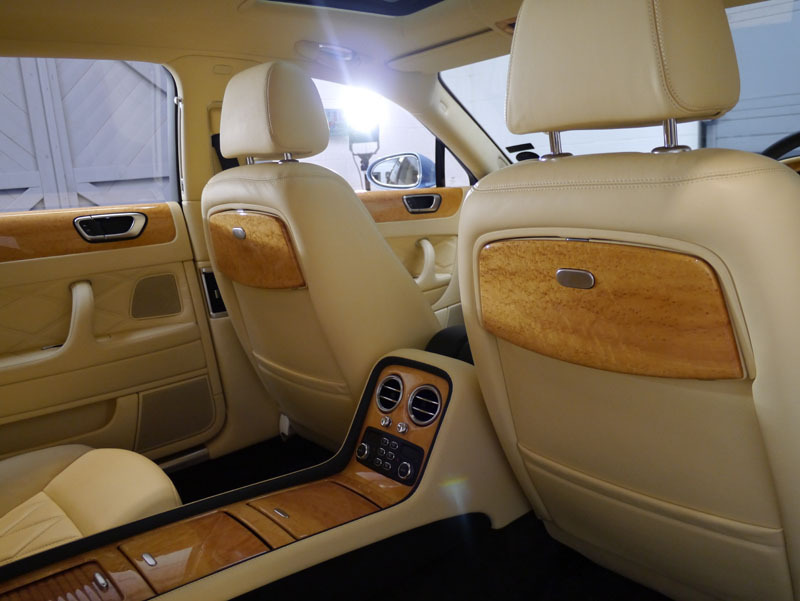 The leather interior is hand stitched with each layer of wood veneer lacquered and hand polished. The twin turbo W12 6 litre engine propels the Flying Spur from 0-60mph in just 4.3 seconds, whilst passengers sit back and become enveloped in the sheer luxury of the soundproofed cabin. 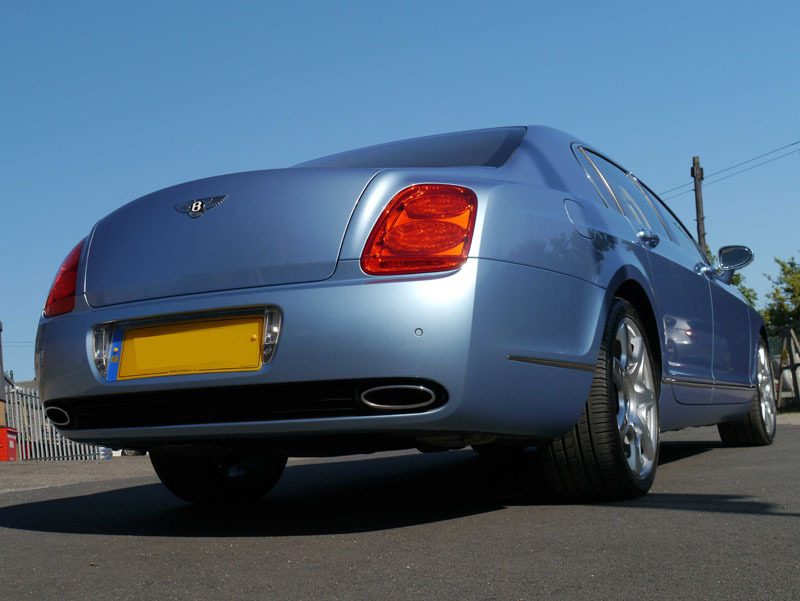 Bentleys are more commonly finished in black, silver or occasionally, Barnato Green, but this Bentley Flying Spur was presented in a Silverlake Blue, more usually seen on the smaller GT. 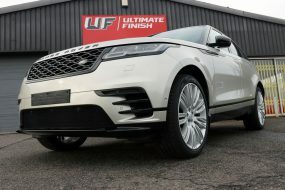 Brought in to the Ultimate Detailing Studio for a Gloss Enhancement Treatment, the sparkling metallic paintwork was generally in good condition. 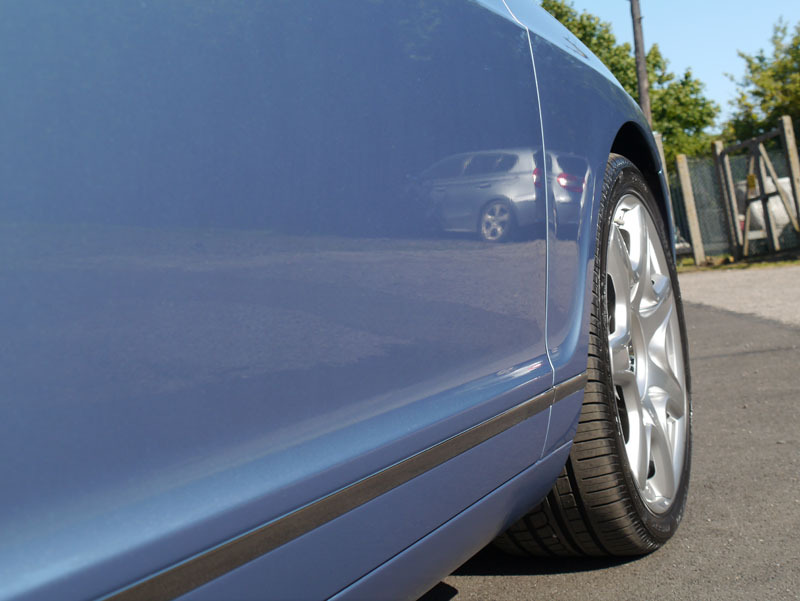 Whilst preparing the car, it’s vital to avoid contact with the paintwork for as long as possible, therefore minimising the risk of marking the paintwork during the removal of any bonded surface contaminants. 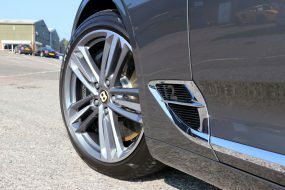 Initially, the Flying Spur was treated with Valet Pro Dragon’s Breath to neutralise and remove any iron contamination on the vehicle body and wheels. Then the wheels were cleaned using Valet Pro Bilberry Wheel Cleaner and the bodywork sprayed with Valet Pro Citrus Tar & Glue Remover. Finally the whole car was degreased using Bilt-Hamber Surfex-HD before being pre-washed with Ultimate Snow Foam. For the main wash our Detailer used Gtechniq G-Wash and the Two Bucket Method and then rinsed it thoroughly using pure water from an Aqua Gleam de-ionising filter. 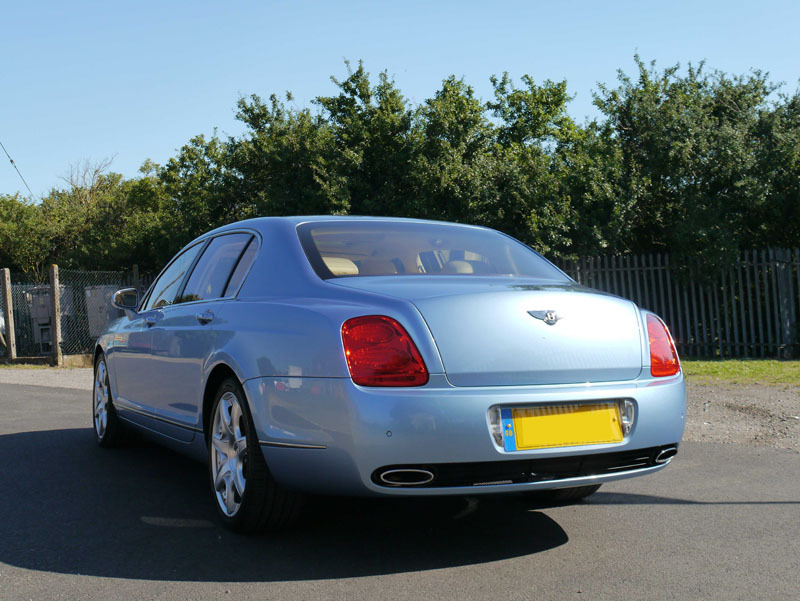 The Bentley was dried using Gtechniq MF2 Zero Scratch Drying Towels before the paintwork was inspected using a 3M Sun Gun Colour Check Lamp and Defelsko PosiTest Paint Depth Gauge. Once refined the paintwork and wheels were cleansed using Gtechniq Panel Wipe to prepare it for a layer of 22PLE VX1 Pro Signature Glass Coat – a highly scratch resistant silicium dioxide based sealant which forms a tough barrier against industrial and environmental fallout, protecting the paintwork and providing a hydrophobic and dirt repelling layer. This makes the vehicle easier to wash as dirt does not stick to it, and safer to wash without introducing swirls during the process. Whilst the glass coating was curing the leather interior was cleaned using Swissvax Leather Cleaner and conditioned with Swissvax Leather Milk with Vitamin E. Finally the leather was protected using Swissvax Elephant Hide, a sealant that helps prevent staining from dye transfer and accidental spills. 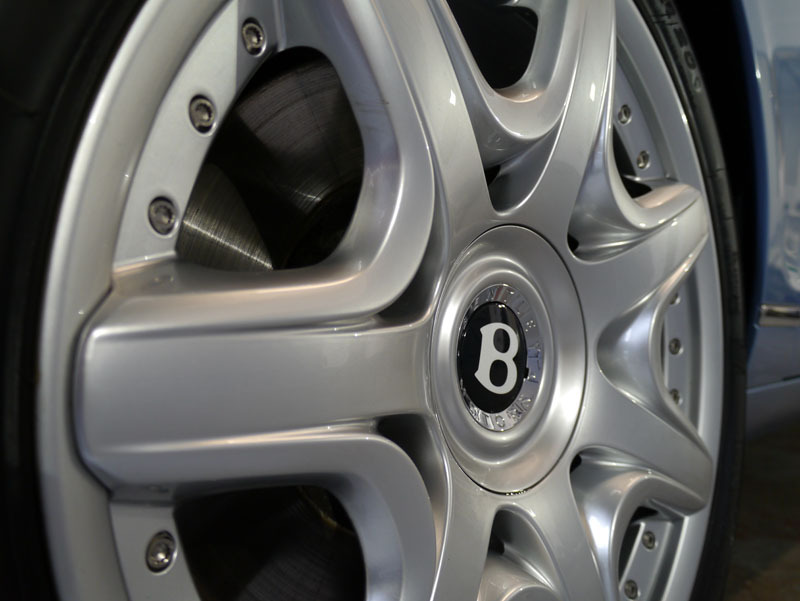 The wheels were also cleansed with Panel Wipe and then sealed using 22PLE VM1 Rim & Metal Coat. This sealant cures to form a barrier with a hardness of 9 on the Moh’s scale of mineral hardness (chalk is rated at 2, diamonds are rated at 10!) and being highly temperature resistant VM1 helps to inhibit the bonding of brake dust particles, as well as repelling road grime and general contamination. 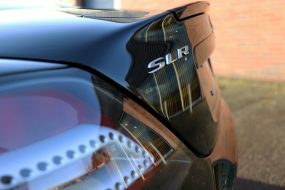 Once the sealant had cured overnight, the previously hidden metallic flake had become more prominent, the paints clarity and depth of shine had increased leaving the Flying Spur truly flying high!